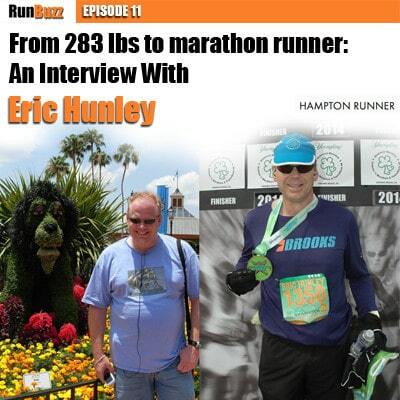 In today’s podcast, I chat with Eric Hunley from HamptonRunner.com. We discuss how he went from a 283 pound runner to a 3:27 marathon runner. How Eric went from a walker to a runner and all the challenges he faced along the way. Eric’s secrets for losing weight. Getting over tendonitis and a seized heel–how Eric’s biggest challenges have been injuries. Tips that all runners can use to improve their running. What Eric would tell a younger version of himself, if he knew then what he knows now. Eric’s most important tip to improve your running!